"I am very happy to be here. 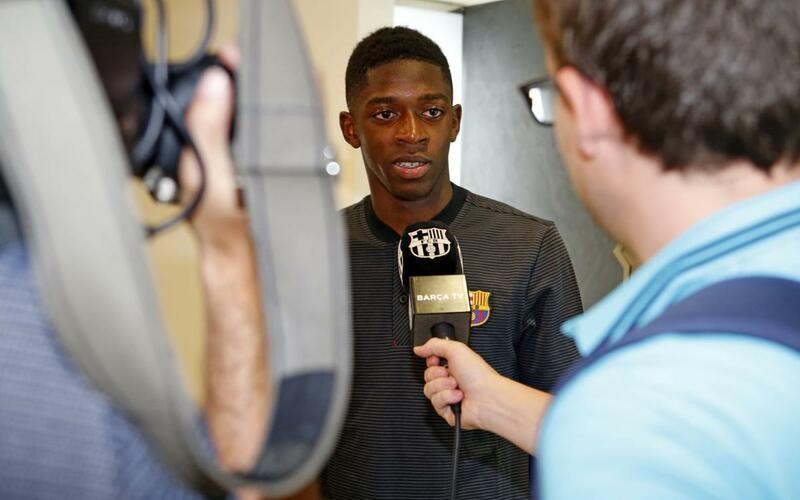 It has always been my dream to be at Barça" Ousmane Dembélé told the club media shortly after arriving in Barcelona. "And now I’m here I’m very happy to have achieved my dream." Tomorrow Monday from 12.00pm CET, you can watch the whole of the official presentation of the new Barça star live on Barça Video and YouTube.